Hello today we are introducing Wish Upon a Star, the latest and greatest from Aida Zamora. Aida is known for her sweet-as-can-be storybook illustrations. All her characters have such sweet little personalities that shine through the stamps and ink! 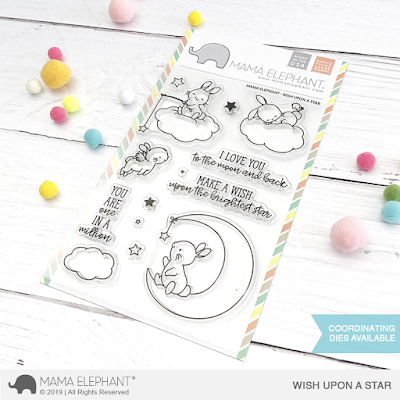 Wish Upon a Star features these sweet little bunnies fluttering and floating on clouds and sitting on the crescent of a moon. 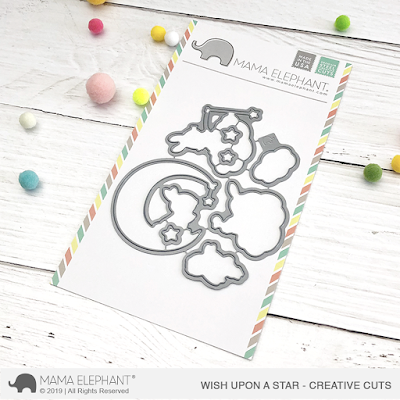 They are perfect for making cards for the sweetest littlest loves of your life! 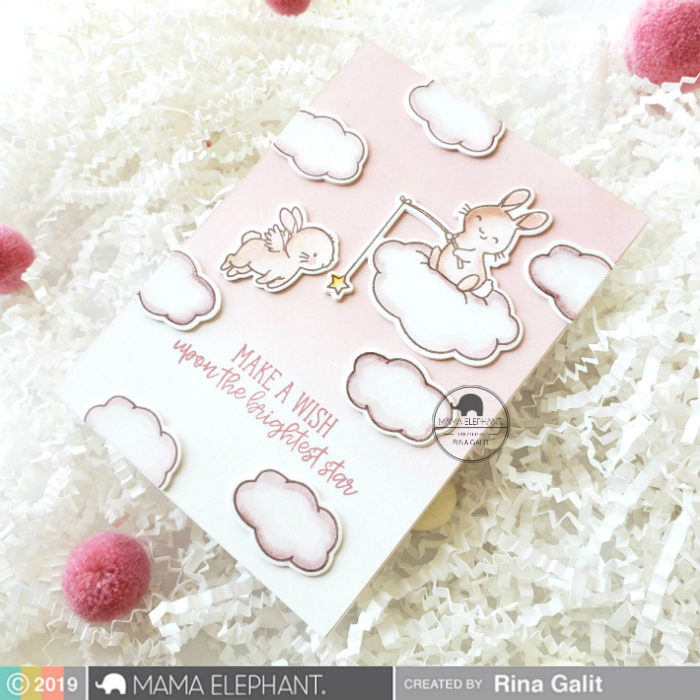 Rina creates several cards in the video below as she formally introduces Wish Upon a Star. Check out her fabulous video below! 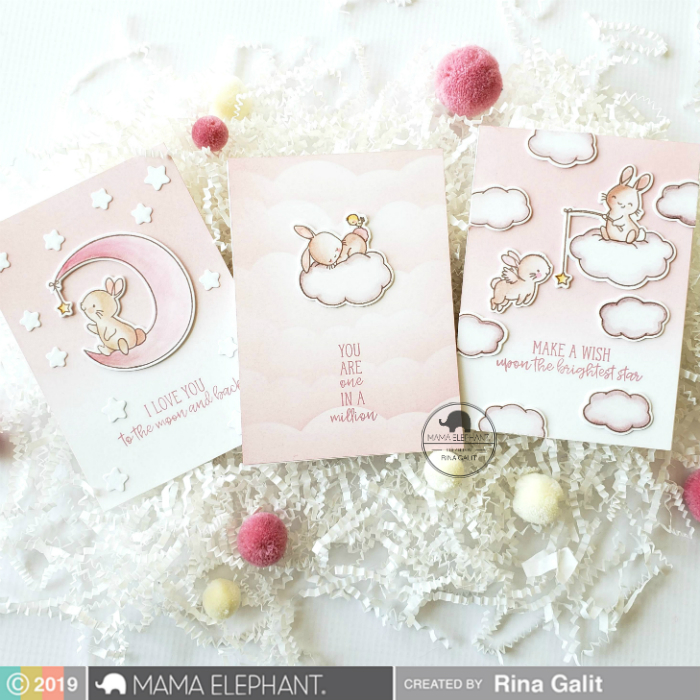 Don't you love the soft pink palette Rina used in today's projects? They'e soft and heavenly like cotton candy! These are so beautiful! Love the soft colors! You are killing me with this release! I want every single thing I have seen so far! Just absolutely adorable! This set is so adorable!!! And such sweet projects! I love how you've showcased the new products, so so sweet!!!!!! What a sweet set! Adorable creations! Oh my, these images are adorable! 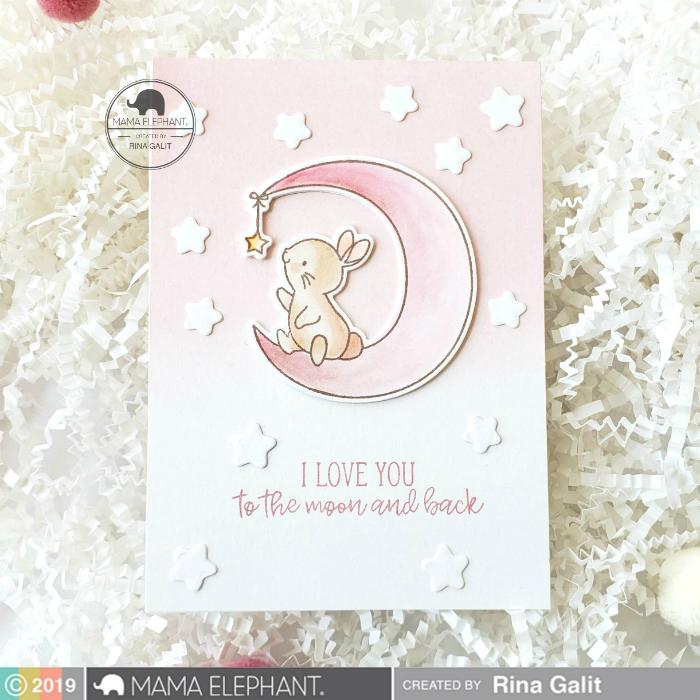 Rina, your bunny cards are so sweet. I love the pinky-mauve color you used to create these. This is just TOOOOOOO SWEET!